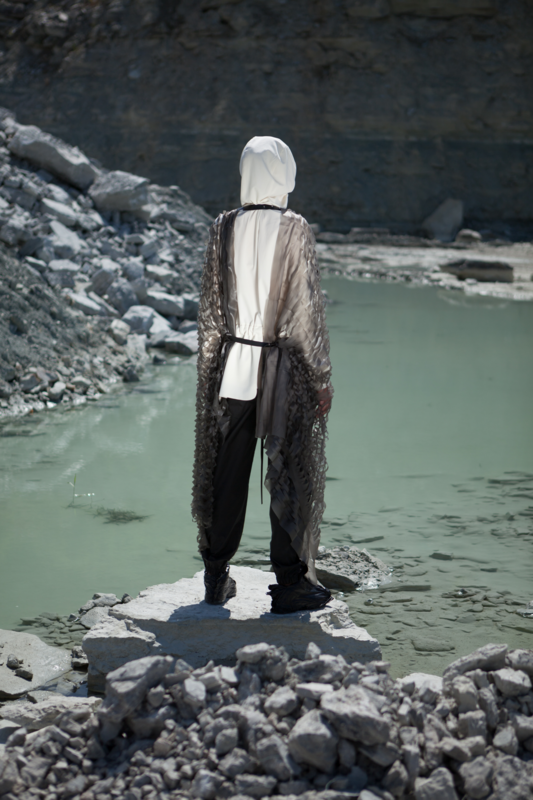 Dita Enikova, who recently got a Master’s degree from the Art Academy of Latvia Fashion Department, is now one of the ten finalists at the prestigious 34th International Festival of Fashion and Photography Hyères. 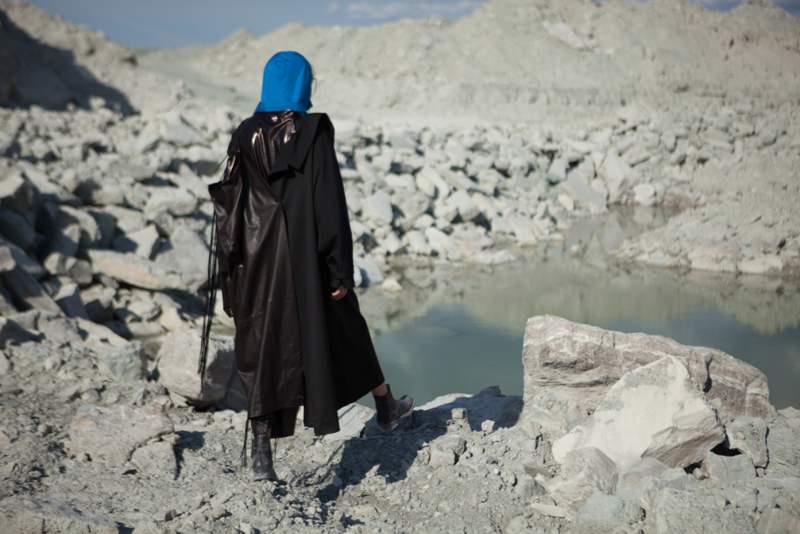 From April 25 to 29, the Festival will take place in the southern town of France — Hyères. For 34 years already, the Fashion and Photography Festival in Hyères highlights ten young fashion designers and ten young photographers, selected by an international jury. In previous years, designers Rolands Pēterkops and Mārīte Mastiņa–Pēterkopa («Mareunrol’s»), Agnese Narņicka («One Wolf») and Tomass Bērziņš («Victoria/Tomas») have represented Latvia among the finalists. 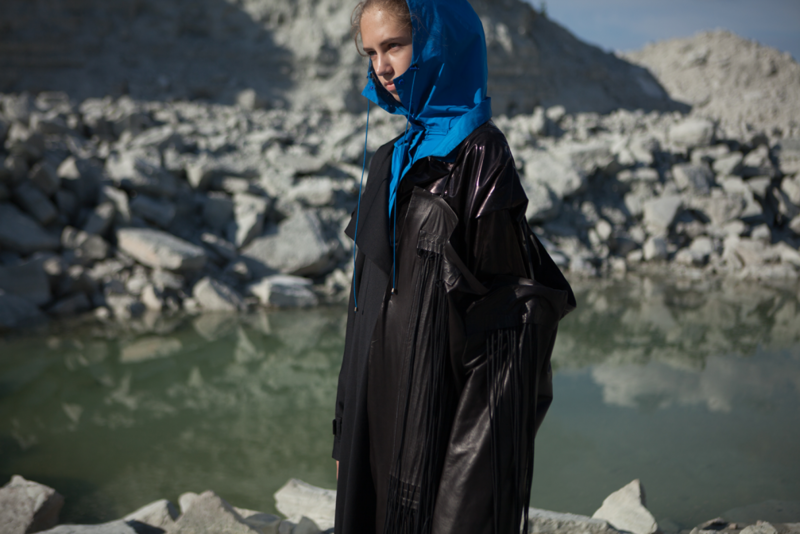 This year for the festival’s final competition the jury has selected the emerging Latvian designer Dita Enikova with garments from her diploma work collection «Avoiding the Void». The collection has a Northern character and features seven Scandinavia–inspired looks. 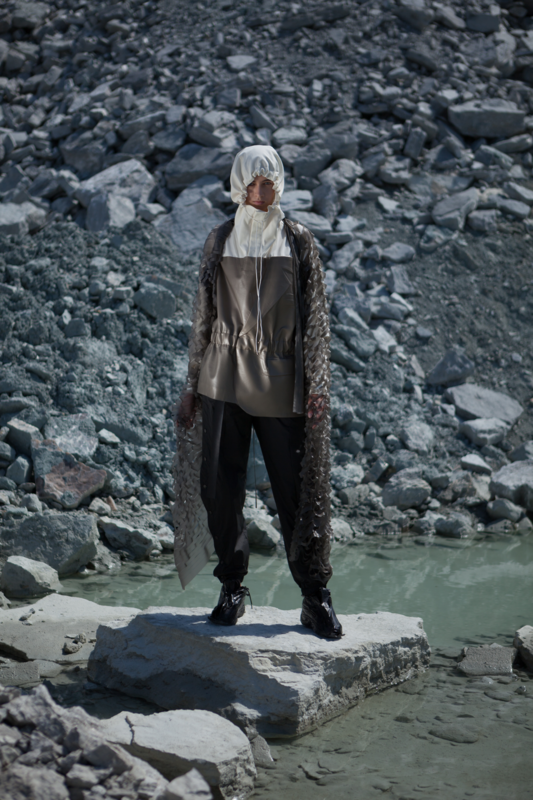 The heavy, dark garments are designer’s references to uniforms that are associated with fishermen and other industrial workers. Dita’s collection tells about the Nordic culture that is often considered to be profound and introverted as an opposite of the prevailing standards of modern society such as extroversion, endless rush and social pressure. The title «Avoiding the Void» also manifests the wish to break out of the inner void and to keep one’s identity. The designer experiments a lot, putting an emphasis on various materials, fabric processing techniques and sculptural silhouettes. To reveal the topic of «Avoiding the Void», Dita has used the vacuum effect, net, complex, asymmetric details, combining the classics and streetwear. The dominant colours are those of nature like warm white, beige, blue and brown, as well as tones inspired by industrial environments such as rust, charcoal black and graphite grey. Matching the concept, the materials such as wool, leather, rubber and latex, are wind and water resistant. Dita says that with this collection, her aim was to show garments as design objects and combinations of materials rather than functional pieces of clothing. Since last January, Dita Enikova works as a design assistant at the «One Wolf», whose founder Agnese Narņicka was also her diploma work supervisor at the Art Academy of Latvia. Currently, the young designer is preparing for the Hyères Festival competition and is determined to use all the opportunities it provides. This week, she’ll go to Paris where meetings with Festival’s organisers and sponsors will take place. A visit to one of the world’s leading textile and fashion fairs «Premiere Vision» is also planned. The competition itself will take place in Hyères from April 25 to 29, 2019. In addition to the submitted collection, solutions of the tasks given by «Chloe» and «Chanel» will be evaluated as well.